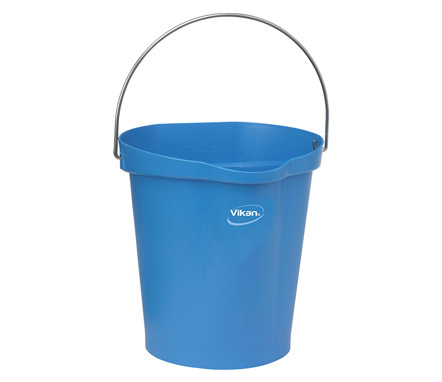 Pails, Pail 3 GallonThis pail is ideal for transporting cleaning chemicals as well as hot or cold ingredients. It has a drip-free spout, hand grip that is raised from the base, sturdy stainless steel handle and is calibrated for a variety of measuring units. The flat side prevents spillage and stores easily using the coordinating wall bracket.